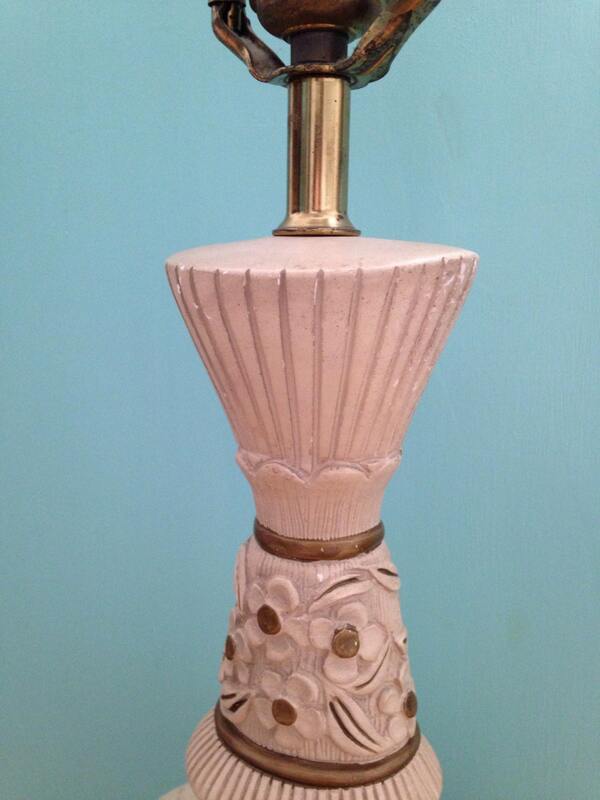 Vintage 1950s midcentury tan and gold painted floral chalkware lamp in working condition. 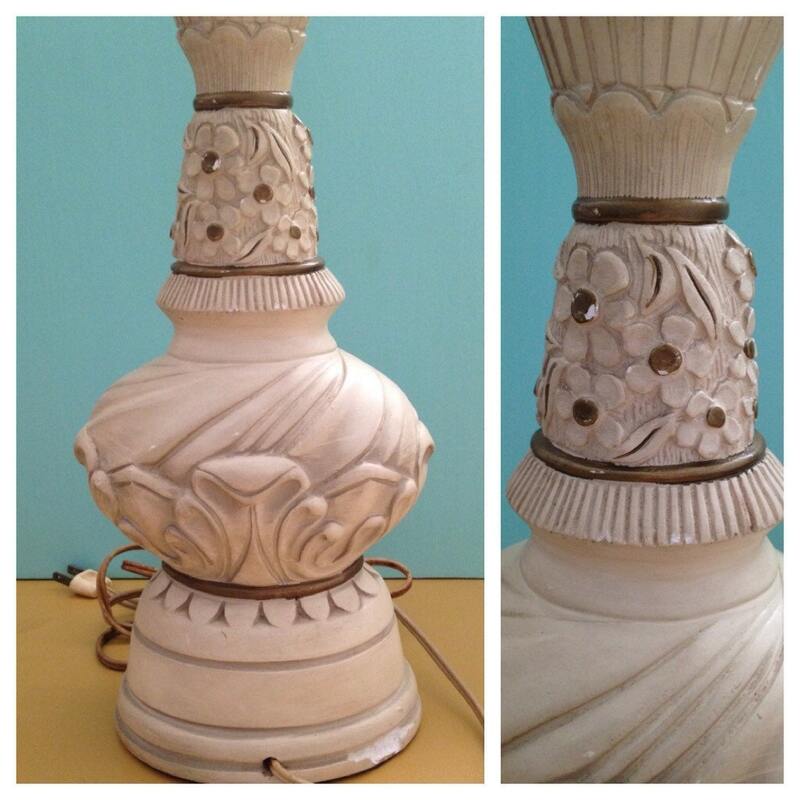 Lamp is mostly tan with some gold detail and trim (see photos). Some small spots of wear in paint (see photos) and small chipped area near base on back near cord. 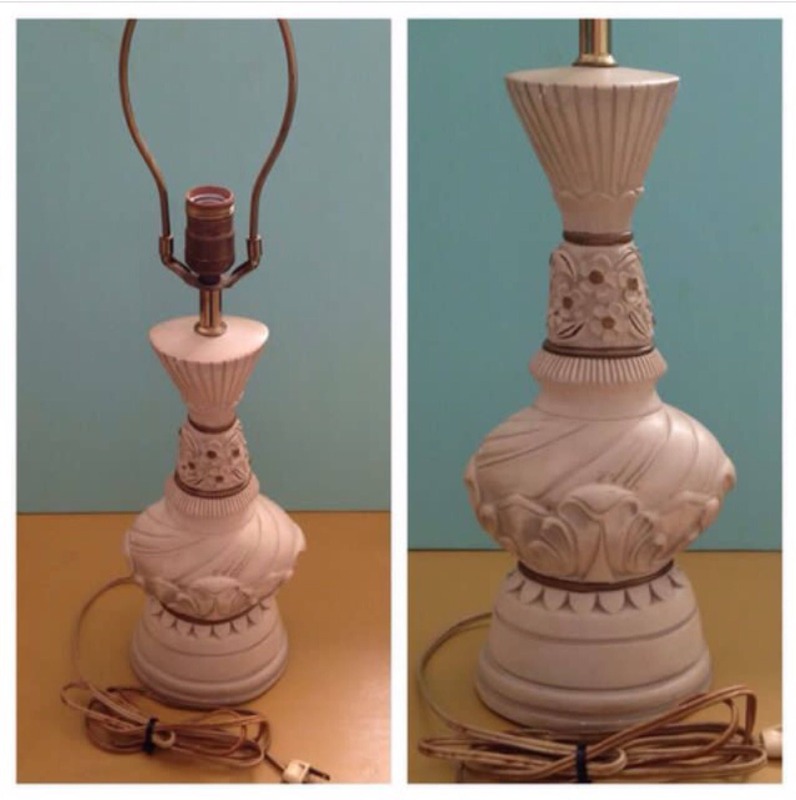 Lamp works well; no fraying or damage to cord or plug minus the discoloration. Upper metal section including socket has some patina but no major rust. 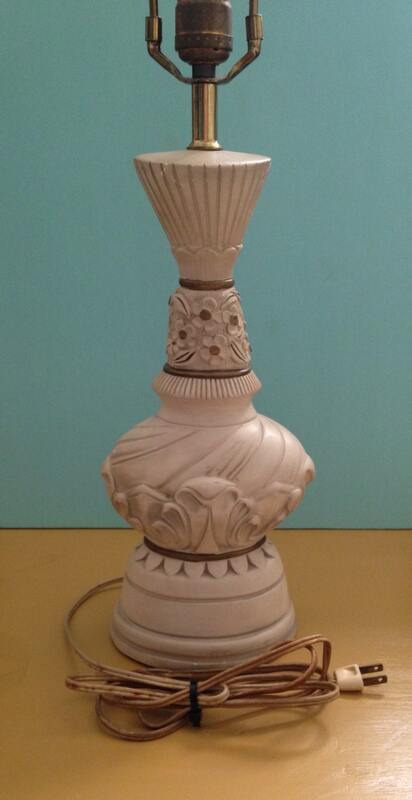 Turn-knob switch which faces the backside of the lamp.